We're excited to introduce some guest posts to our series that delve into design, personal style, how-to's, and a variety of other fun topics! 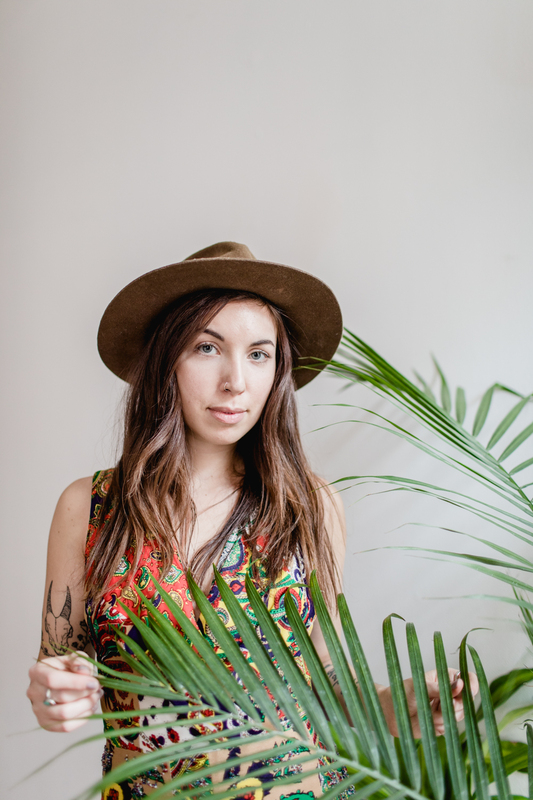 Our first guest post is by Lauren Wessels (otherwise known as Runa Rising on Instagram) who is absolutely obsessed with house plants. Adding greens to your space can be intimidating if you've never attempted it before. Which ones to get? How do I care for them? What kind of light do they need? And then there's the problem of accidentally killing the little suckers in a matter of weeks. Some people seem to have that "green thumb" and some are forever wondering what they're doing wrong. 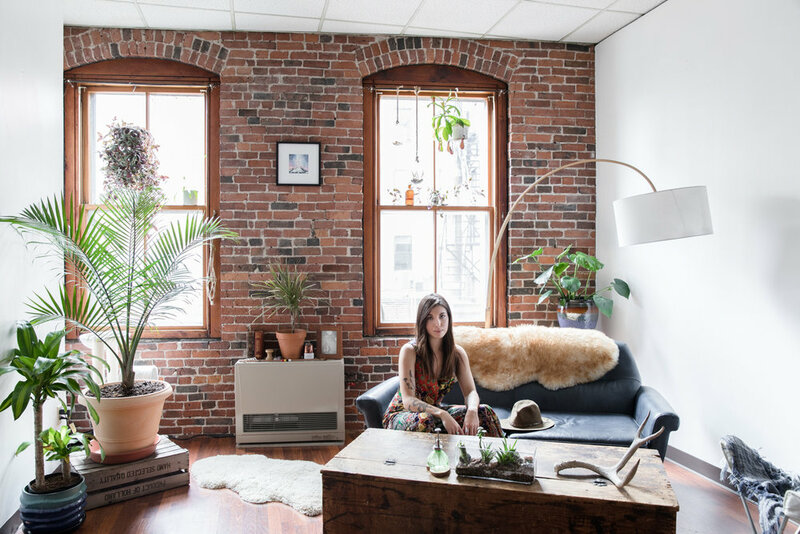 But plant choices and care doesn't have to be intimidating, and a little green can really add so much energy to your space, not to mention the actual health benefits of all that CO2 converting into oxygen for a more purified environment. Read on for some tips and tricks! 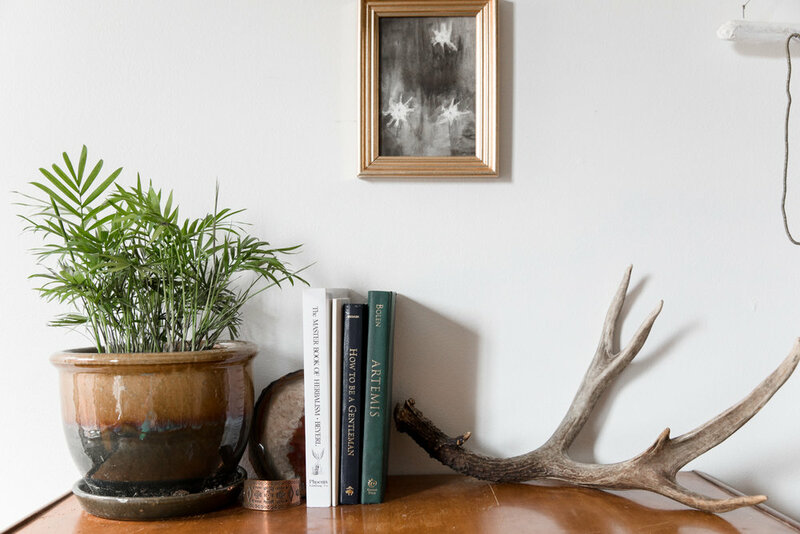 I believe it is incredibly beneficial to add plants into any home enviornment. 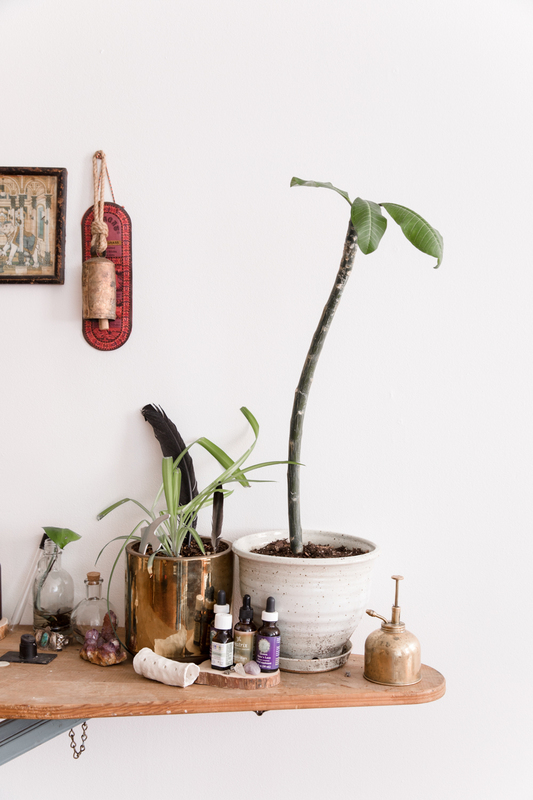 Plants bring a softness into a space, and have the incredible ability to help you relax. I find plant care a meditative practice in a way. To me, there is a correlation between our internal growth process and theres. Prune what is ready to die while mindfully tending to the rest. 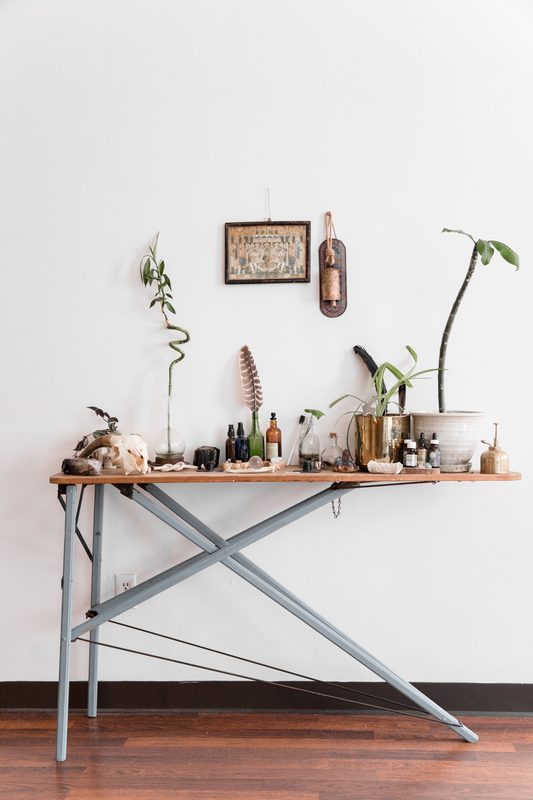 The plants in your home aren’t some inanimate object- they are living and breathing beings that are meant to be in relationship with. they are living and breathing beings that are meant to be in relationship with." A few of my favorite plants to start any home with are variegated spider plants, monsteras, peace lilies, and banana plants. All these varieties are non-fussy and generally very forgiving. 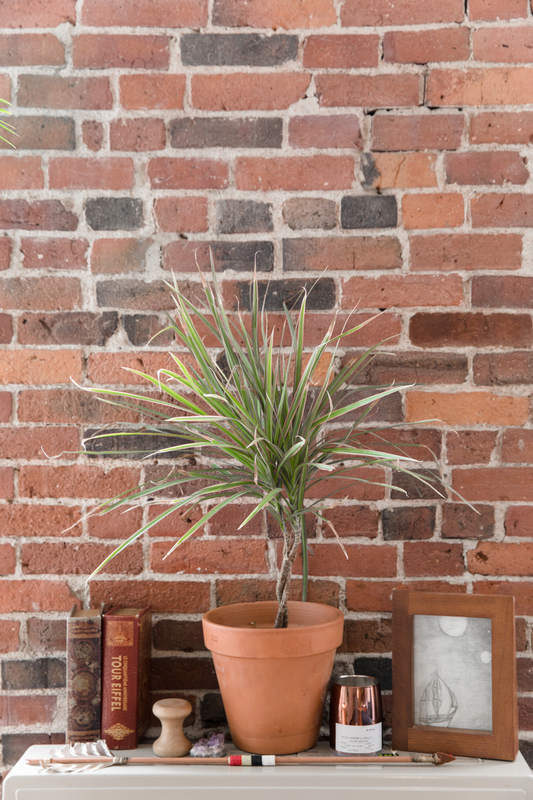 Spider plants are great because they eventually start cloning themselves, which can help you grow your urban jungle quite quickly and easily. 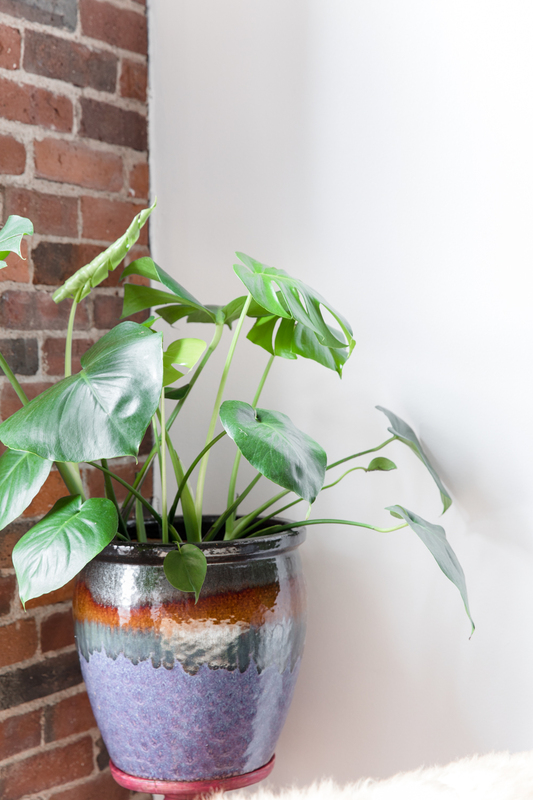 As for monsteras, peace lilies, and banana plants- they’re lush and beautiful, fast growers, and are often conversation starters. 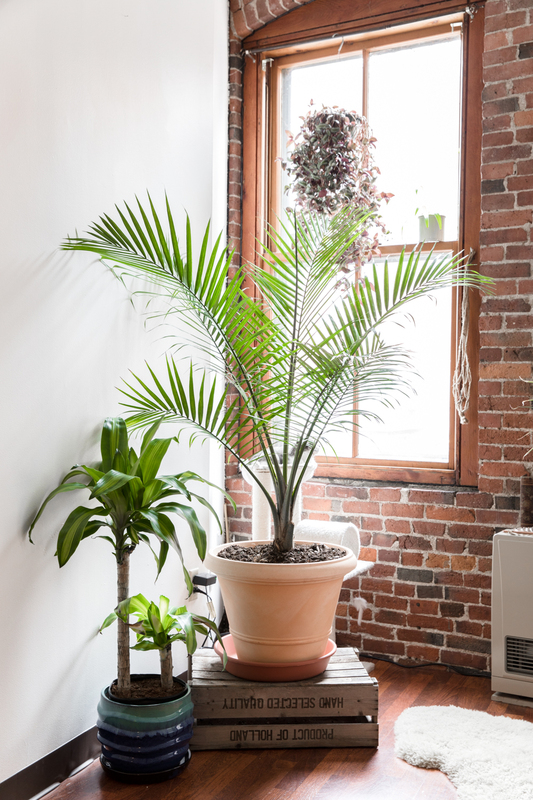 While these are great candidates to start with, it's important to do some research on any plant you bring into your space. There are, however, some general guidelines to basic plant care. Watering, sunlight, and soil are three key factors in caring for your plants. Finding out a plant's natural environment is key to having a successful relationship with it. 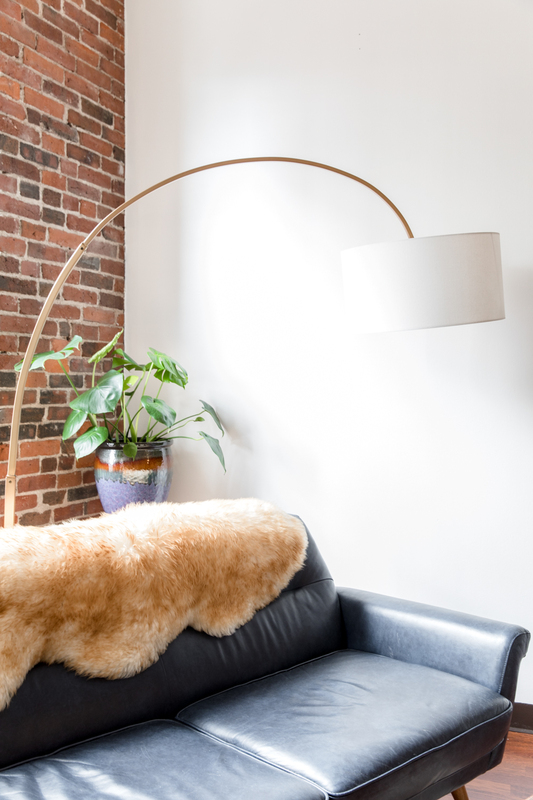 Making sense of what areas of your home best match a plant's needs will go a long way. For instance, you may consider the kitchen or bathroom for plants that require high humidity. If plants need ample sunlight, they don’t necessarily need bright direct sun, especially if it's next to a window. Often, bright and indirect or defused light would be a plant's dream. Watch how the light moves throughout a room during the day and you’ll be able to best determine the perfect spot. It takes about a week to see differences in the plant once you choose a location for it, so take this into account as well. You may eventually have to play around with your plants seasonally, as the winter months may dramatically decrease the amount of sun your plants are receiving, and in the summer months you’ll have to increase the frequency of waterings. Heaters running all winter will also have to accounted for, as these are notorious for sucking the moisture right out of your plants. The right soil and pot is also essential in a plant’s success. You’ll want soil that drains completely through, while at the same time retains some water. A pot that has proper drainage holes will help tremendously with this. No plant should ever be in a pot that allows it to sit in standing water. This will surely invite rot to your plant's root system, which is nearly impossible to get rid of. The proper amount of sun will also help your plant from being over watered, as the sun will both allow the plant to grow more quickly, as well as evaporate excess water. When watering your plants, I find it best to bring them to a space that allows water to completely run through and flush out the soil. If the water tends to pool at the top and takes time to absorb, this could be a sign that you need to aerate your plants. This is done by sticking something like a chopstick into the soil, and helps both water and oxygen be delivered to the roots. In nature, this is done by worms. You may find that even this simple act can go a long way with the overall health of your plants. While none of these tips are blanket statements, they can be useful in either starting or continuing a relationship with plants. Thank you Lauren!! Find Lauren on Instagram here! If you'd like to submit a guest post, please visit our contact page and send us your submission!